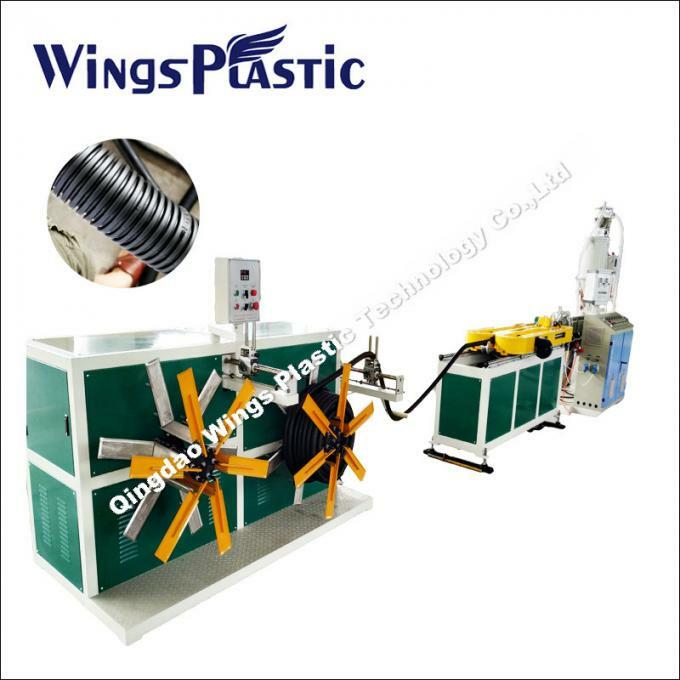 Corrugated pipe extrusion line, plastic corrugated pipe production line, corrugated pipe extrusion machine, plastic corrugated pipe production line machine. 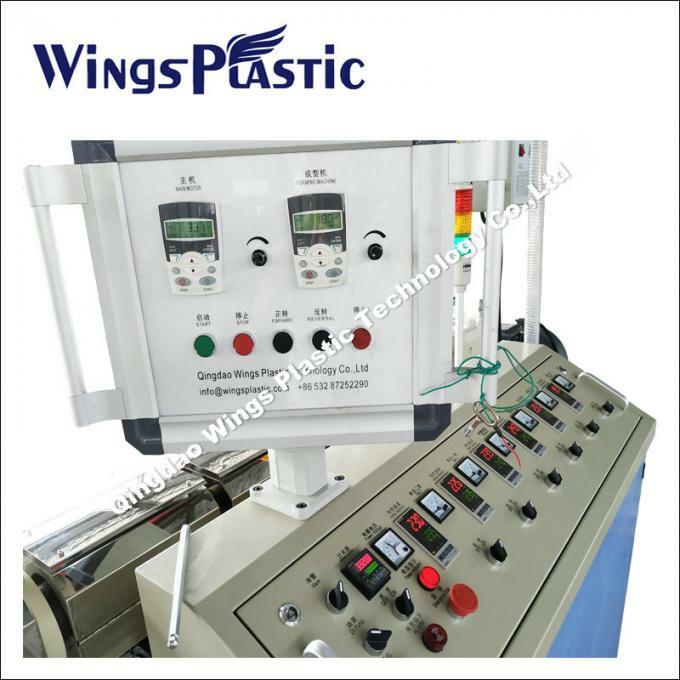 Close type corrugater and vacuum for forming. Forming mould is moving in a tunnel. Forming mould is made of hard alloy steel and anti-corrosion and abrasion. No any connection between forming mould, then reduce time to change. 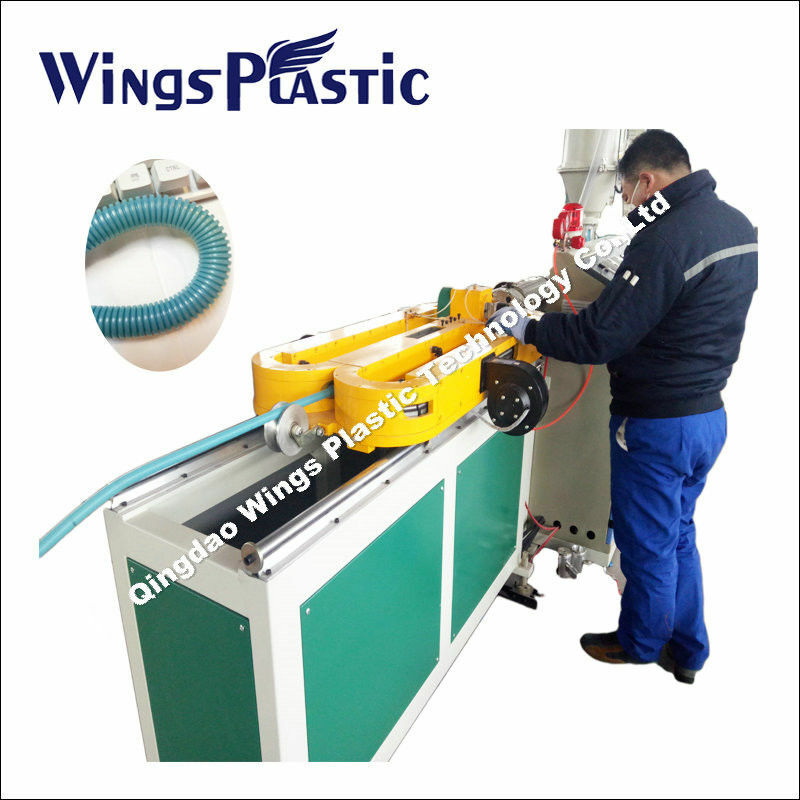 Appliation: PE/ PVC Single wall Corrugated Pipe Extrusion Line can produce pipe with heating-proof , corrosion-proof, friction-proof and high strength . 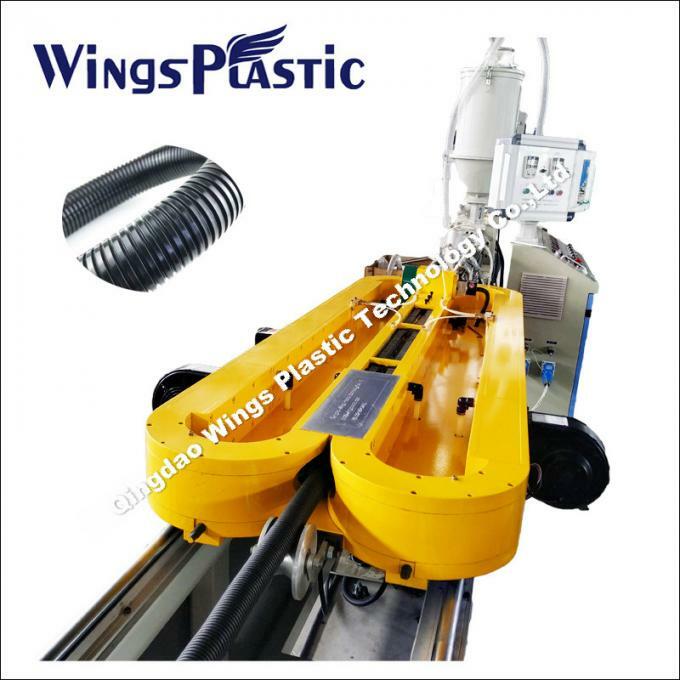 And the pipe will be used in electricity / pneumatic wire conduit , Auto wire conduit , protection conduit , machine tools , electric locomative, projections installation , lights, automatic tools and other fields . It is a big market demand .